The seaside restaurant overlooks the panoramic view of the Otaru Marina. We deliver mouth watering variety of Otaru Food dishes with rich ingredients from Hokkaido, from breakfast to lunch and dinner, in an open and resorting space created by a high ceiling and large windows. With freshly cooked dishes served from the open kitchen, you can enjoy the best buffet for a casual setting and special occasions alike. Terrance Brasserie offers international theme buffet, specialise mainly in Italian and Chinese dishes. Our chefs prepared and delivered dishes from the open concept kitchen. We include the essence of Hokkaido and Otaru's food into the menu and delight you with an array of selections. Delicious gourmet, excellent service together with relaxing and beautiful view will definitely bring your experience to another level. 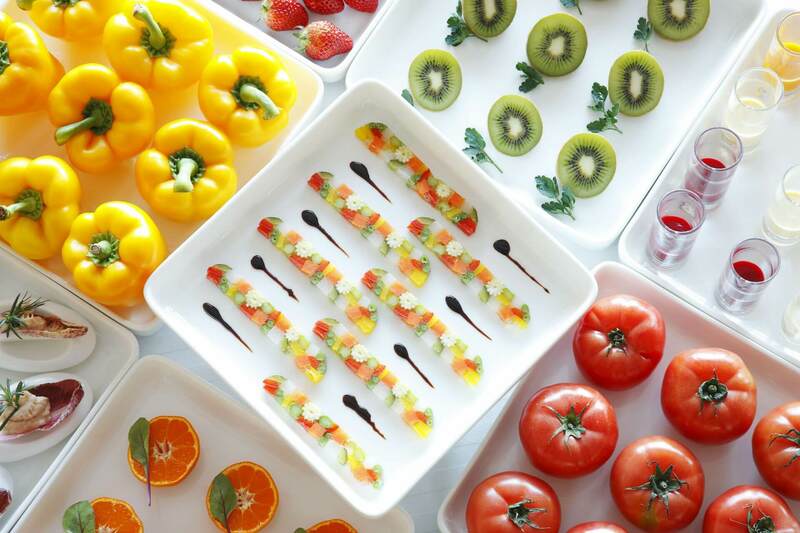 On weekends and public holiday, Terrace Brasserie offers sweets buffet with an array of sweets and snack dishes prepared exclusively by our patissier. The buffet theme changes according to seasons and new dishes will be introduced too! Enjoy a wide selection of international dishes at our dinner buffet, accompanied by stunning views of the beautiful Ishikari Bay. Make a beeline for our LIVE cooking station featuring seasonal specialties that are sure to whet your appetite. Terrace Brasserie (Level2) Adult: JPY3,996Child (7 to 12 years): JPY1,998Complimentary for children aged six and below. Opens from: Friday, Saturdays, Sundays, and holidays 5:30pm-8:00pm ※Operation days and hours, prices are subject to change during holiday seasons such as Christmas, Year-end, New Year, and Golden Week.